Don’t miss OE artist Steve D. Wilson’s Album release party, TONIGHT, 20 April at the Curtain Club, Dallas Texas. 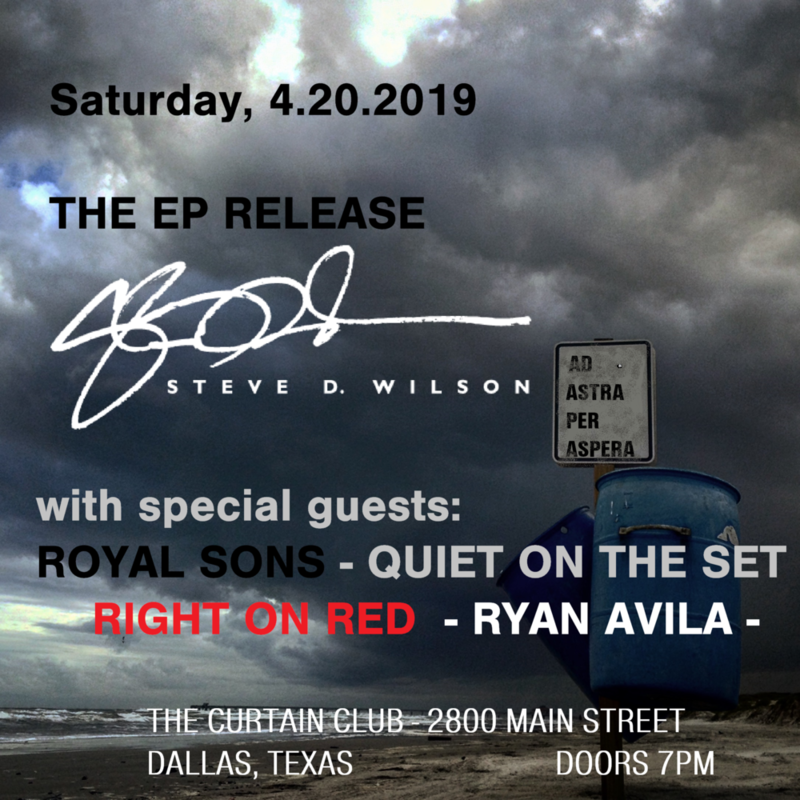 Steve will be performing alongside Royal Sons, Quiet on the Set, Right on Red, and Ryan Avila as he plays songs from his new album “Ad Astra Per Aspera”. The cover will be $12 at the door. Check out songs from the album below, but don’t miss the chance to hear Steve LIVE as he pours out his soul on stage. OE Artist Rachel Harvey Hill Releases New EP "Straight Toward Love"
Operation Encore is excited to announce that OE artist Rachel Harvey Hill has released a new album entitled “Straight Toward Love”. This five song EP. produced through Operation Encore, is filled with heartfelt songs about love and loss. Rachel, a military spouse, has been with Operation Encore since the first compilation album and this EP culminates months of hard work. Purchase “Straight Toward Love” at any of the regular digital sites, or listen to the album below or on Spotify. Look for Rachel to perform songs from the album at an upcoming release party, and at upcoming Operation Encore events this Spring. OE Artist The Real Doug Lane Releases New EP "Faces"
Operation Encore is excited to announce that OE artist The Real Doug Lane has released a new album entitled “Faces”. This five song EP is filled with authentic lyrics and melodies that are a must-add to any playlist. Purchase “Faces” at any of the regular digital sites, or listen to the album below. Doug had an incredible summer touring across multiple states and sharing his unique sound and down-to-earth perspective and OE is proud to be a small part of his incredible story. Learn more about Doug at the Blue TV interview below or at his website and Facebook pages.